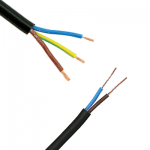 Leads Direct offers a range of different cables ranging from Harmonised Mains Cable, Audio Cable, Telecoms Cable 4 core and 6 core, Multicore Cable, Network Cable as well as many others that are on the shelf or can be specially ordered on request. We have in stock a range of different mains cables including, LSoH, LSZH, LS0H, HO3VV-F Harmonised Flex, HO5RN-F Harmonised Flex, HO5RR-F Harmonised Flex, HO5VV-F Harmonised Flex, HO7RN-F Harmonised Flex along with specialised types. Most are on the shelf and can be sold as full reels, part reels but in some cases will be special ordered. We understand the requirement for standard and high quality audio and microphone cable, again we offer these as full or part reels and can cut to the metre. If you would like to discuss the various cables, specifications or just can’t find what you’re looking for? Feel free to Contact Us on any of the options listed and we’ll get back to you as soon as we’re able, normally this is within an hour but some quires will take longer to handle and can be longer during peak times or staff shortages.